Bladder control pads for women protect with a premium look and feel. Elasticized contours fit a woman’s body. 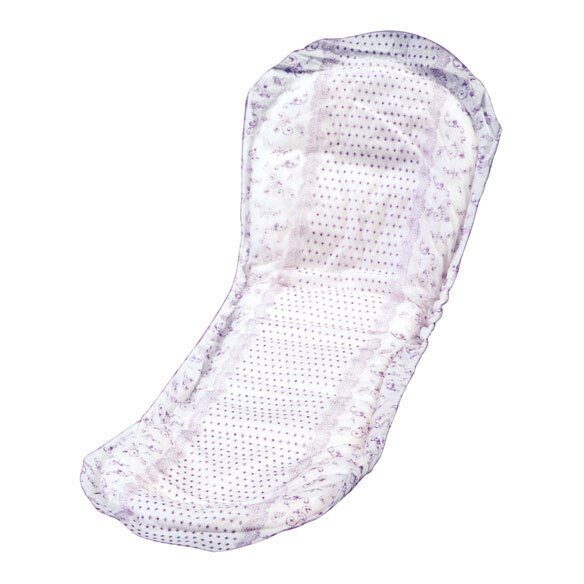 Absorbent core and quick-drying surface of bladder protection pads keep moisture away from skin. Adhesive strips keep incontinece pads in place. Ultimate absorbency. Pack of 27 bladder control pads. A friend recommended them because she liked them. This is my first time buying them. Am trying several to see how they work. If I find I like them I will do auto refill . The description seem to fit my needs. I need them and like them. Ultimate pad Is it available by the case? BEST ANSWER: Thank you for your question. 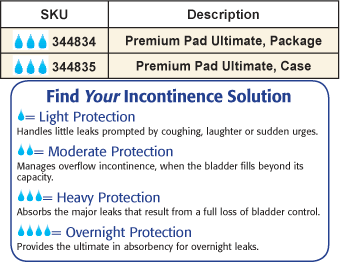 We do sell the Ultimate Absorbency Bladder Control Pads in a case under item number 344835. We hope this information will be of help to you. using the drops of liquid measure, what is the absorbency of the pad? BEST ANSWER: Thank you for your question. This item can hold approximately 14-22 ounces.We hope this information will be of help to you.